This is a rectangular International Salt porcelain sign. This particular International Salt sign is black and white. 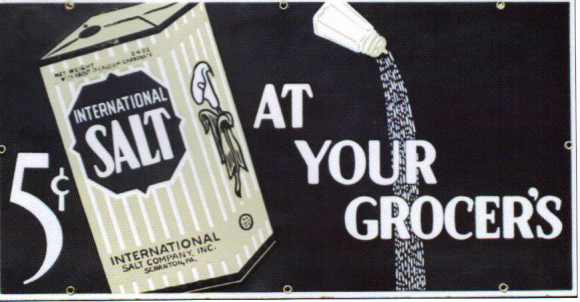 It reads, “International Salt, 5 Cents At Your Grocer’s” and features a box of International Salt and a pouring salt shaker.